The Washington Nationals have done something pretty darn amazing. The Nattys have won 10 games in a row, which included 5 walk off wins in just 6 games, a feat that has only been done a few times in the history of Major League Baseball. 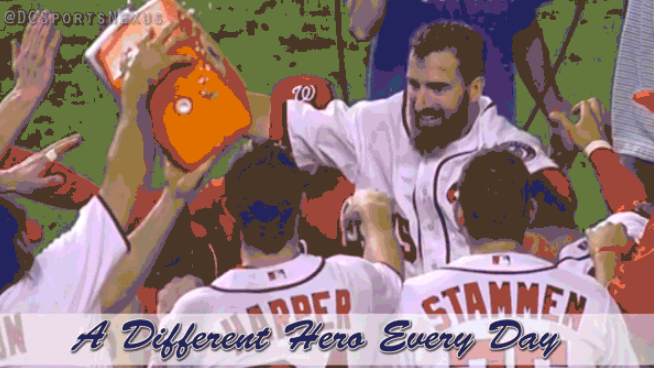 The cool part is that this is a total team effort, and every walk-off had a different Nationals hero. Here is an epic GIF showing all those heroes.